Steven (Chicagoland, United States) on 11 January 2018 in Landscape & Rural and Portfolio. View of the American Falls as captured from Prospect Point Observation Tower. I only wish there wasn't as much mist rising from the water below. Photo captured September 28, 2017. A captivating image. I'm sure that mist must have covered your lens making it difficult to take a picture. such beautiful composition, clouds, colors & textures! un cliché extraordinaire avec la pose longue.. I think it's a very effective picture of the falls. The mist doesn't bother me that much. Good shooting. I actually like the mist - it enhances the powerful feel of the moving water you have captured. Cadrage en diagonale excellent pour ces magnifiques chutes. I don't mind the mist at all. It is very atmospheric. The shutter speed was perfect for the water flow. Great work. Gorgeous slow shutter effect. A superb image. 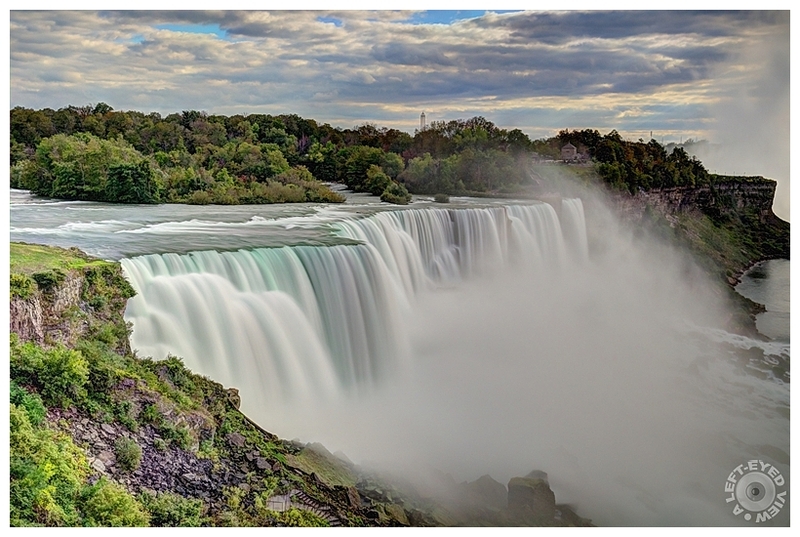 A superb 'portrait' of the American Falls, perfectly exposed and presented! Fabulous POV and result. Your falls series photos are great. Superb presentation of these magnificent falls. Very impressive! Quelle évaporation de l'eua quelle chiüte immense superbe vue. Beautiful image regardless, sir...I know what you mean about the mist...I had that same problem during our visit a few years back...but when you are there, you gotta take what you can get ;-) Wonderful light here, too.. Your long exposure works a treat, Steven. Stunning veil of water with your shutter speed - bravo! wow !! Wonderful capture here !!!!!!!!!!!!!!!!!!!!!!! I like the mist though. I really liked the photo. And to me, the mist does not bother me. It's a very beautiful image - and I don't think the mist detracts. I love the colors in the water! You really well exploited this magnificent place ! another great image ! I've been scrolling through your beautiful images, and must comment on this! We are originally from Buffalo NY, so are very familiar with Niagara Falls. You have done it justice and beyond. This is very beautiful, very artistic. The colors show so well, and it feels pristine. Grand shot!